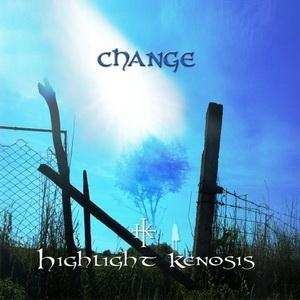 Highlight Kenosis are a Romanian band formed in 2008, who have now relocated to Germany. This is their second album, and it was recorded in Sweden at the Blueflame studios in Uppsala. From here on the album gets down to business with some great catchy guitar-driven songs, many of which remind me of Krypteria. "Outro...With Angels" reminds me of the theme from the old TV series, Twin Peaks. It's an absolutely beautiful song and is the highlight of the album for me. There's a definite prog feel to the album, but at the same time its still firmly in the rock/metal camp with some really catchy stuff. We get great guitar work giving the songs plenty of punch, and some nice atmospheric keyboards which help give it that prog feel as well as rounding out the sound nicely. This is a very good album, and Highlight Kenosis are a band I'll have to watch out for in the future. "Change" is out now via Ravenheart music.